Much to many of our chagrin, we set up an E-Commerce store and it’s not getting any traffic. I feel that many people look at E-Commerce as some sort of magic pill. We set up a store and instantly we will be selling products and making money. It usually doesn’t work like that. Selling online can be difficult and it takes work. We need to treat an E-Commerce store like any offline business. When you open a regular business offline the first thing you need to do is let customers know you are there. Online business is the same except that you don’t have the advantages of a good location or people walking by. Think of the internet as a vast interstate and when you first open up you are in the middle of nowhere. 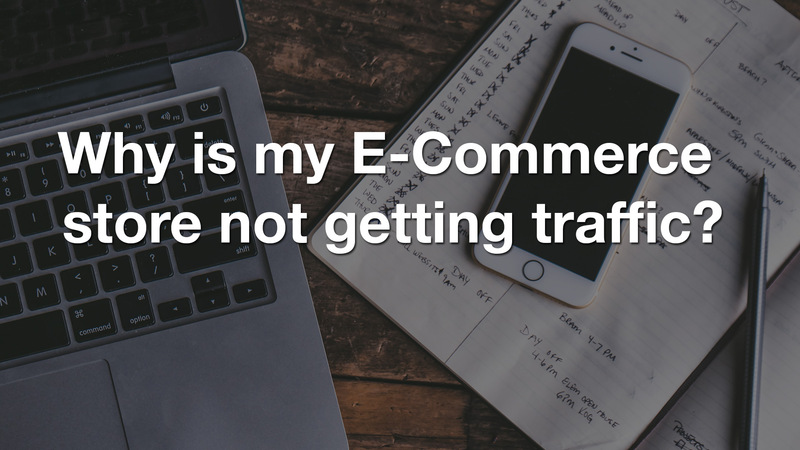 How do you get traffic to come your way? So what is Search Engine Optimization? SEO is the process of making your site show up when people are searching using search engines. The biggest and most important search engine is Google. They make up 75% of the market. Over the years Google has changed its algorithm to measure the sites worth to users. Gone are the days when you can stuff meta tags with keywords and rank high. Google has disregarded them all together. Some new changes have dropped rankings based on mobile friendliness and sites without a security certificate. Share your products and links directly to Facebook from the website, that way followers can order directly from the site. Encourage people to order on Instagram. Include a note, “Link is in the bio” into the description and then add a link to the product on in the bio of your account. Ask for others to link to your site, or possibly promote a product. Getting online business is not always easy. But with some hard work it can be very rewarding. Hopefully these tips will help you increase your visibility to your e-commerce store and bring you business!